As the Ebola outbreak rages, and there are projections of more than 1.4 million persons infected in the next few months, the African Union and the regional bloc ECOWAS have taken a back seat as the international media uses this virus to stigmatize Africa and Africans. Pious statements have been made by the World Health Organization (WHO) as the World Bank warns that could Ebola could have “catastrophic” economic costs on the region of Western Africa. This same World Bank has not yet accepted any reasonability for its role in promoting neo-liberal politics that degraded the health care facilities of Africa. This degradation will be called in this article economic warfare. Bioeconomic warfare is the combination of economic warfare and biological warfare. In the midst of this tragedy, Britain, France and the United States use the deaths of thousands to remilitarize West Africa. Characteristically, this militaristic intervention with the division of the three societies between USA (Liberia) France (Guinea) and the United Kingdom (Sierra Leone) ensures that the media attention is placed on the military deployments of the western states and not on measures for public education. One of the priorities of public education is for citizens to have a fuller understanding of the source or sources of Ebola and the kind of responses that can bring this pandemic under control. Citizens need to understand everywhere that Ebola is not particularly contagious. There should be the clarification that there is no cure for Ebola. All of the therapies and vaccines being used so far are experimental. The simple requirements of control are robust public health infrastructures, clean water facilities with sanitation and a clean environment. In short, Ebola can only be contained with robust health facilities. The very same institutions and organizations that have been at the forefront of bioeconomic warfare in Africa cannot lead the mobilization against Ebola. This mobilization requires nonmilitary, civilian medical leadership. Ebola presents one more challenge for a new kind of leadership in Africa that can value the lives of the producers. EBOLA: WHERE DID IT COME FROM? From the varying press reports this current strain of Ebola broke out in Guinea at the end of 2013 and was brought to international attention by the time it had spread across West Africa by March 2013. The symptoms of Ebola haemorrhagic fever begin 4 to 16 days after infection. Persons develop fever, chills, headaches, muscle aches, and loss of appetite. As the disease progresses, vomiting, diarrhea, abdominal pain, sore throat and chest pain can occur. The blood clots and the patient may bleed from injection sites as well as into the gastrointestinal tract, skin and internal organs. The mortality rate is usually very high. This virus is not spread through the air via coughs or sneezes like the common cold. It is spread through frequent contact with bodily fluids and can be spread only by someone who is showing the symptoms. It should be stated from the outset that Ebola is not one of those illnesses known to the majority of healers and doctors in Africa. Scientific journals of all continents attest to the profound ignorance about this virus. Fifteen years ago the internationally respected International Journal of Infectious Diseases stated that “Filoviridae is the only known virus family about which we have such profound ignorance.”  What accounts for this profound ignorance on the part of the top researchers in the West? Inside Africa, the most experienced, the traditional healers have no experience in dealing with this illness. 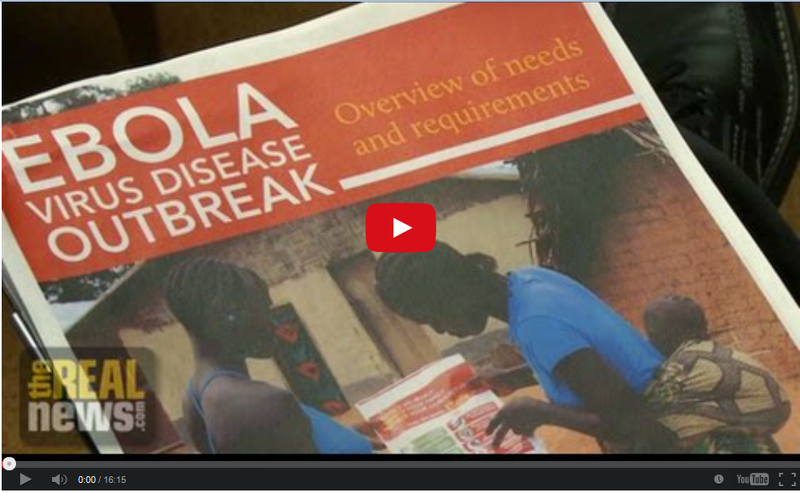 The reports in the mainstream media place the first outbreak of Ebola in Africa in 1976. 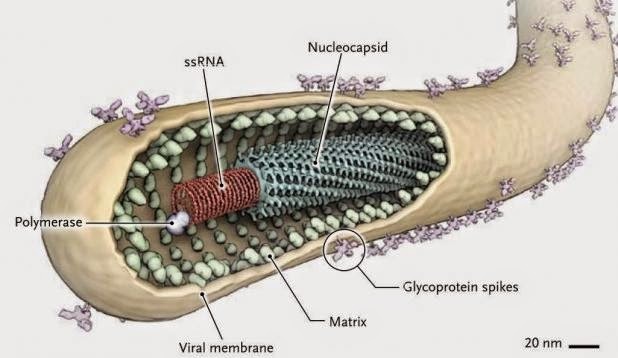 This virus was named for a river in then Zaire, where Ebola was allegedly first detected. Then, according to information released by the Center for Disease Control (CDC) in Atlanta,” Ebola is a member of a family of RNA viruses known as filoviruses. When magnified several thousand times by electron microscope, these viruses have the appearance of long filaments of threads. Although the CDC places the first outbreak of Ebola in Zaire in 1976, the leading scientific journals such the Lancet and the New England Journal of Medicine placed the first outbreak in Marburg, Germany. One of the most profound requirements of public education is to diminish the racialization of Ebola to clarify that the first recognized outbreak took place not in Africa, but in Marburg Germany, hence the name given to Ebola as Marburg Virus. In 1967 an outbreak of haemorrhagic fever occurred simultaneously in laboratories in Marburg and Frankfurt, Germany. Thirty-one people became ill, initially laboratory workers followed by several medical personnel and family members who had cared for them. Seven deaths were reported. The reporting on the number of deaths in the Zaire outbreak differs according to differing sources. One fact is indisputable. This was the largest number of deaths at that time in 1976. There were 550 cases and 340 deaths. In the third outbreak in 1979, in Sudan, there were 34 cases and 22 fatalities. The fourth outbreak of Ebola was in the United States. 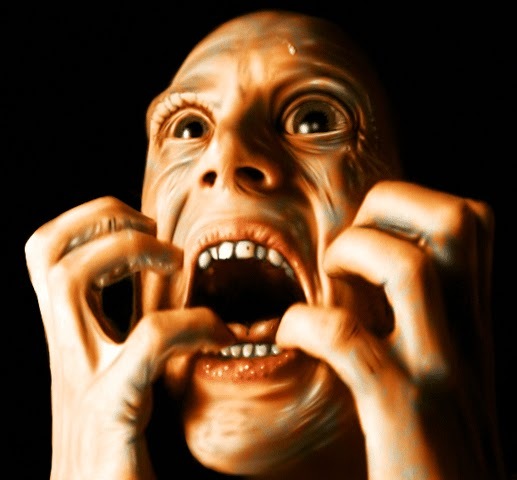 The strain of Ebola Reston is so called because of an outbreak which occurred in Reston, Virginia, in late 1989. Very few following the present outbreak of Ebola know that there was an outbreak of Ebola in the Washington Suburb of Reston, less than 20 miles from the United States Capitol. There were two other small incidents of the Reston outbreak after 1989. Six years after the first Reston outbreak there was a major outbreak of Ebola at Kitwit, again in Zaire. There were over 200 fatalities. Up to then, the Kitwit Ebola outbreak had been the deadliest. The outbreaks were usually controlled when appropriate medical supplies and equipment were made available and quarantine procedures used. Since those days there have been periodic outbreaks in Uganda, Angola, Gabon, Côte d’Ivoire (Ivory Coast) and other parts of Africa, but nothing compared to the scale and depth of the present pandemic in West Africa. In the most popular book on this virus published over 20 years ago by Richard Preston, The Hot Zone: The Terrifying True Story of the Origins of the Ebola Virus  readers are exposed to the twenty years of research by the United States Army Medical Research Institute of Infectious Diseases (USAMRID) on a family of viruses that are lethal. This book came out before the Kitwit outbreak but we know from press reports that the USAMRID, the CDC, the National Institutes of Health (NIH) and other international research organizations used the Kitwit outbreak to study this virus. The book concentrated on the three ways which the scientific community attempts to deal with a virus: vaccines, drugs and bio containment. This book by Preston came out in a moment when the tabloid press was making great claims about the airborne possibilities of Ebola and was whipping up anti-African hysteria. It was in the same period when Robert Kaplan had written his celebrated article, “The Coming Anarchy. “ It was this sensationalism that set the tone about the so-called failed and fragile states in Africa. Robert Kaplan wrote extensively on how scarcity, crime, overpopulation, tribalism, and disease were rapidly destroying the social fabric of our African societies. Kaplan’s work was part of the psychological warfare against Africa and Africans at the moment when the peoples of world were celebrating the victory over apartheid. Production and Stockpiling of Bacteriological (Biological) and Toxin Weapons and on their Destruction was signed in 1972. Even after the signing of this international convention a number of countries, including the USA, continued research on designer viruses. Despite the UN convention, the explosion of scientific research on genetically modified organisms gave a boost to the research being carried out by both military and civilian agencies that were chasing profits from developing dual use pathogens. Biological agents that were being experimented with as bioweapons accelerated and the one bioweapon from this school of dual use pathogens that has come to light has been the experimentation on anthrax. Characteristically, the use of anthrax on civilians by the military was in the case of the racist Rhodesian military who unleashed anthrax spores in feed cakes for animals killing over 80 Africans in what was then Rhodesia. Years later Timothy Stamps, the Minister of Health in Zimbabwe, drew a connection between the anthrax outbreak in Rhodesia, the Ebola outbreaks and the experimentation that had been carried out under South Africa’s Chemical and Biological Warfare (CBW) program. The attractiveness of the weaponization of biological agents increased in the era of genetically modified organisms. Because Africa was the space of the most diverse genetic materials, scientists and bio anthropologists from the West traversed the rural countryside in Africa looking for plants with unique characteristics. In the era of massive research in the life sciences, many universities became involved in dual use research. Dual use research (DURC) is life sciences research that, based on current understanding, can be reasonably anticipated to provide knowledge, information, products, or technologies that could be directly misused to pose a significant threat with broad consequences to public health and safety, agricultural crops and other plants, animals, the environment, or national security. In short, dual use research was research that could be used to assist in advancing human health and security or at the same time be used for biological warfare. We have learnt from research carried out by UNESCO that “military interest, in harnessing genetic engineering and DNA recombinant technology for updating and devising effective lethal bioweapons is spurred on by the easy availability of funding, even in times of economic regression, for contractual research leading to the development of bioweapons.”  This is the research environment within which to grasp the present outbreak of Ebola in West Africa. On the day before President Barack Obama spoke to the world on the Ebola pandemic, the White House on Wednesday September 24, 2014 issued new guidelines intended to strengthen the oversight of federally funded biology research that could inadvertently produce bioweapons. According to the report in the New York Times carried on Thursday September 25, “The new policy shifts the burden of finding and disclosing the dangerous aspects of research from the funding agency — usually the National Institutes of Health — to the scientists who receive the grants and the universities or other institutions where they work.” On the same day, the National Public Radio (NPR) was more specific that the ruling related to dual use pathogens and research being carried in government funded laboratories. This report came three years after the controversies about bird flu research that was being carried out for bioterror purposes. So far no expert or whistle-blower has come forward to speak openly about experimentation with viral haemorrhagic fevers, which are now lumped under the name of Ebola. Today as a vital component of prevention and public education there is the need for scientists and researchers to speak out about the laboratories in the West or elsewhere that have been experimenting with dual use pathogens. It is also necessary for the international community to know whether any of these research teams or university personnel associated with dual use pathogens has been active in the countries of Liberia, Sierra Leone, Guinea or Nigeria before the present outbreak of Ebola. At the minimum, ECOWAS and the AU should pressure the UN Ebola Fund to focus not only on fund raising but to also make Freedom of Information Act (FOIA) requests to fully develop the measures to properly organize against outbreaks of the current type. From the reports coming in on the numbers of people who have been left to die without attention or a decent burial, the figures on the number of deaths in West Africa from WHO have been a clear undercount to minimize the extent of the devastation by Ebola. In contrast to the numbers being broadcast by WHO, the Center for Disease Control and Prevention in Atlanta reported on Tuesday September 23 that “Ebola cases could increase to between 550,000 and 1.4 million in four months, based on several factors including how many people are infected by Ebola carriers. The extensive and immediate action referred to by WHO concerns the deployment of military forces by the United States, Britain and France to the countries most affected. The US has deployed over 4,000 military personnel to West Africa to assist in the fight against Ebola. 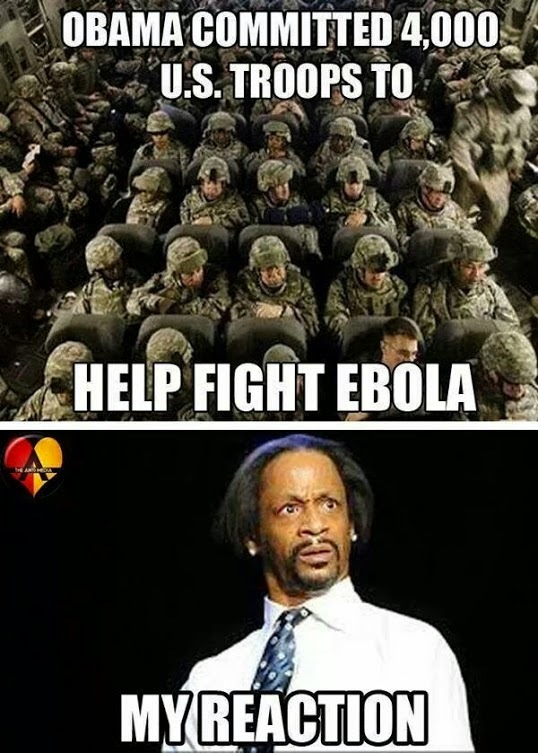 The fight against Ebola cannot be a military effort. It must be an effort that is based on seeking to bring back the health and safety of the peoples whose communities have been destroyed with hundreds of families losing loved ones. The US plans to quickly increase its presence in Liberia, where military personnel are deploying to help the people halt the advance of the worst Ebola epidemic on record but we also need to know what the private security contractors have been doing in Liberia over the past ten years. President Obama has stated that the military is required to set up the medical and transportation infrastructure needed to deploy health workers. Why could this infrastructure work not be carried out by civilian agencies? From India, Sreeram Chaulia noted correctly in an article entitled ‘Foreign Pulse: Viral Politics’, that “As the Ebola epidemic ravages West Africa, a familiar act with troublesome connotations is playing out. The international response to the conjoined public health crises in Liberia, Sierra Leone and Guinea is following imperial patterns of tutelage and patronage, wherein each of these three countries has been exclusively taken over by its respective former master from America and Europe through targeted humanitarian aid…….An erstwhile colony established by American citizens freed from slavery, Liberia is back to being literally a ward of the US, which faces no competition from any other Western donor there. In North America, the Fox news organization and its affiliates have been at the forefront of the racialization of the present outbreak of Ebola. When the Liberian national was hospitalized and later succumbed to Ebola, the conservative media whipped up an unprecedented hysteria about the possibilities of an Ebola outbreak in the United States. (This patient, Thomas Eric Duncan, has since passed away). Within this hysteria, there are questions in the media whether this virus could go airborne. Some readers will remember that the possibility of the airborne transmission of Ebola was the theme of the film Outbreak that was produced by Hollywood. What has not been in the public domain is the fact that it was the US government that from 1962 to 1973 carried out a biological and chemical weapon experimentation project called Project 112. We are yet to know which African societies were considered ripe for the testing of toxins by the US Department of Defense. After the anthrax scare in the USA in 2001 and the war against the people of Iraq in 2003, the US Congress passed the Project Bioshield Act in 2004 calling for U.S. $5 billion for purchasing vaccines that would be used in the event of a bioterrorist attack. There has been a ten-year program to put money into the same forces that were experimenting with dual use pathogens. In the words of the Congress, Project Bioshield was a ten-year program to acquire medical countermeasures to biological, chemical, radiological, and nuclear agents for civilian use. The US government has been working on countermeasures against biological warfare. Is it by accident that the top three threats that the Bioshield program is meant to defend the citizens of the US from are Anthrax, Ebola and Bird Flu? Harriet Washington placed chemical and biological warfare under the larger category of “bioterrorism,” which “employs chemical or biological agents such as microbes and poisons in the service of terrorism…weapons often consist of disease-causing organisms, usually microorganisms such as bacteria, viruses, fungi, or derivatives from humans, animals or plants”  Another important aspect of biological warfare that Harriet Washington brings forth is the fact that it can be both direct and indirect when used against populations. In other words, chemical agents can be used to kill people directly by physically harming them with something such as nerve gas, or biological warfare can be used to pollute the environment in which someone lives in order to cut off their source of food (plants, livestock), water, or both. The Cubans have exposed that the Dengue fever which broke out in Cuba in 1977 was linked to biological warfare by the US government. This has been corroborated by press reports from the United States. At that time the US government blocked efforts by the Cuban government to purchase fumigators and chemicals to control the Dengue spread. As a small island, Cuba has been able to develop quarantine measures but more importantly develop the scientific capacity to research the root of outbreaks such as Dengue. In August the President of the US called the first US-Africa Summit in Washington. Although the Ebola pandemic was already killing more persons than the four episodes discussed in the website of the CDC, White House was not focused on the devastation that was being wrought on West Africa. In Africa, Ebola has exposed the porousness of the so-called borders. The AU has so far failed to take the lead in mobilizing to fight this pandemic. Does the African Union have in place any kind of bioshield preparation? At the time of the outbreak of the HIV AIDS pandemic it was significant that western pharmaceuticals placed their profits before human lives. It took the massive organizing of a grassroots movement such as the Treatment Action Campaign (TAC) of South Africa to pressure the pharmaceuticals to allow for the production of generic drugs to treat AIDS patients in Africa. This TAC campaign influenced the cooperation between India, Brazil and South Africa which later merged into BRICS. A similar grassroots mobilization is now needed in West Africa to break the slow and lackadaisical response of ECOWAS and the AU. 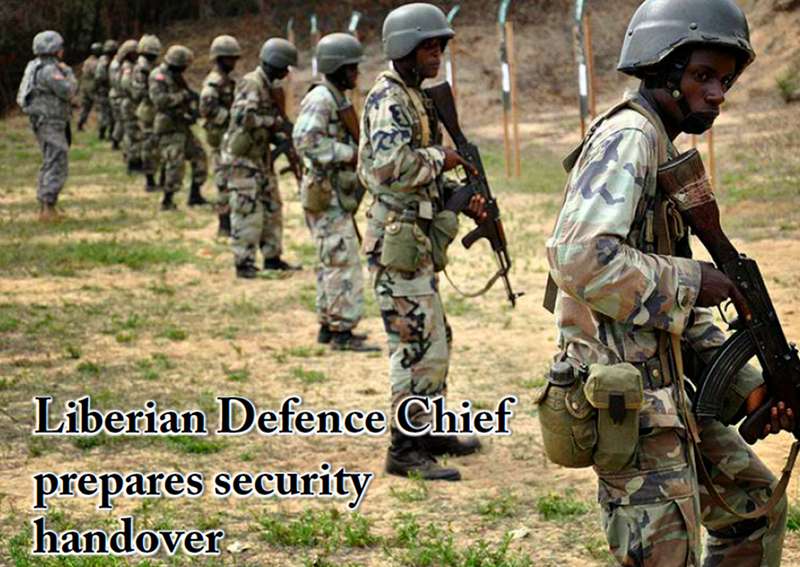 ECOWAS has been able in the past to intervene in Liberia and Sierra Leone to bring peace. Collectively, ECOWAS and the AU possess the technical and medical capabilities to be more vigorous in response to Ebola. There is the mistaken perception abroad that Africa does not have the medical personnel to fight this epidemic. However, the ability to mobilize the resources in Africa for a more robust response depends on political will. Nigeria alone has over 40,000 doctors with thousands having experience in infectious diseases. In the economic warfare against Africa the medical profession of Africa was assaulted and there was a massive brain drain of African medical personnel to Europe and North America. African governments have been very clear about their objections to the wholesale migration of their physicians to rich countries. Despite these objections there are more than 10,000 international medical graduates from Africa in the USA and Western Europe. The US received more than 7,000 doctors from three countries: Ghana, Nigeria and South Africa. Progressive Africans will have to mobilize for a change of course so that the AU and the United Nations can demilitarize the response to Ebola. Already it has been demonstrated in Liberia that the pandemic can be contained. Nigeria and Senegal have been able to contain the virus. The western media has drawn attention the fact that Firestone Company in Liberia was able to contain and control the virus on its rubber plantation. This author is no fan of Firestone. At the recent Empowered Africa Dialogue in Washington during August, workers at Firestone spoke of the low wage and exploitative working conditions on the rubber plantation. Thus this company cannot be held up as an example, but the important point is that Ebola can be controlled and there is no need for the pandemic to spin out of control. The Firestone story also demonstrates that the military is not needed to organize the medical and transport infrastructure to contain the escalation of the deaths. This author has been critical of saviours from outside but this Ebola pandemic provides an opportunity for the true humanitarian doctors to separate themselves from the militarized response to the Ebola outbreak. The African Union must take the lead so that those medical responders can find a non-military infrastructure to work with. There is the need for full-scale mobilization in all of the countries where health workers, traditional doctors, scientists, civilian agencies and the military will be crucial in the fight against bio-economic warfare. Global health experts have declared the Ebola epidemic ravaging West Africa an international health emergency that requires a coordinated global approach. Although the media has racialized the Ebola pandemic, there is an urgent need for the international community to come together for this coordinated global approach. The Ebola virus presented a real challenge to Africa and the deployment of scientists, community health workers, volunteers and health brigades to combat this virus is one of the most important tasks of reconstruction in Africa. Science at Syracuse University. He is the author of Global NATO and the Catastrophic Failure in Libya, Monthly Review Press, 2013. Richard Preston, The HotZone: The Terrifying True Story of the Origins of the Ebola Virus,” Anchor books, 1995. Biotechnology,Volume 2, No 3, December 1999. See also Wright, S. (1985). University of North Carolina Press Chapel Hill, North Carolina, 2014. Ebo-Lie: Man Living In Ghana Confirms Ebola Is A Hoax! Camille Cosby, Another Victim of Controversy?